In my last post, I noted that Congress was eager to repeal Obamacare, but lacked consensus on a replacement. I noted that Obamacare was designed to cover the sick people and keep premiums affordable through the individual mandate and subsidies. These two provisions of Obamacare can be reversed through legislative mechanisms that avoid filibusters. But, removing those provisions, while leaving in place Obamacare’s prohibition of denial for pre-existing conditions creates an unstable insurance market that could lead to an increase in the number of uninsured people, and an increase in the premiums paid by those that continue to be insured. The clear implication of these projections is that pursuing the repeal of just the portions of Obamacare that can be repealed unilaterally, while leaving in place the popular prohibition of denial of coverage for people with pre-existing conditions would be a disaster. Hopefully, these projections will help convince Congress to resist the urge to seek quick repeal to appease fervent anti-Obamacare constituents. Hopefully, Congress will take a breath and take the time to build bi-partisan consensus on a more comprehensive and coherent design for our health care insurance system. Congress and the president-elect are enthusiastic about repealing Obamacare, but have not yet achieved any consensus about what to replace it with. High risk pools figure prominently in various proposals, including Ryan’s “A Better Way” proposal. But high risk pools are not a new idea. Thirty five states had them in the years before Obamacare, so we have some experience to draw upon. In general, they performed poorly, mostly because they were substantially underfunded, leading to high premiums and shameful waiting lists that withheld coverage for the sickest people – those that that needed coverage the most. The following explainer video was prepared last summer by the Kaiser Family Foundation, a health policy think tank. High risk pools don’t reduce cost or risk. They just transfer it from private health plan premium payers to taxpayers — mostly state taxpayers. And, if the states fail to fund it properly (as has usually been the case), the wait lists associated with high risk pools creates a particularly cruel mechanism for keeping the most desperate citizens from the lifesaving care they need. How did Romneycare and Obamacare Avoid the Need for High Risk Pools? High risk pools consisted of the sickest people in the population. Since sick people incur health care expenses that they can’t afford, the money has to come from somewhere. It can come from healthier members of the same health plan, from state taxpayers, or from federal taxpayers. If it is to come from healthier members of the plan, there must enough of such healthy members to share the cost. The healthy people can’t just wait until they are sick to buy insurance. If too many healthy people opt out, the premiums for the people in the plan will be too high. An insurance “death spiral” occurs when high premiums causes some of those healthy members to drop coverage, forcing premiums to go even higher for the remaining healthy members, ultimately leading to the failure of the plan. A “mandate” requiring that everyone have health insurance or pay a penalty. 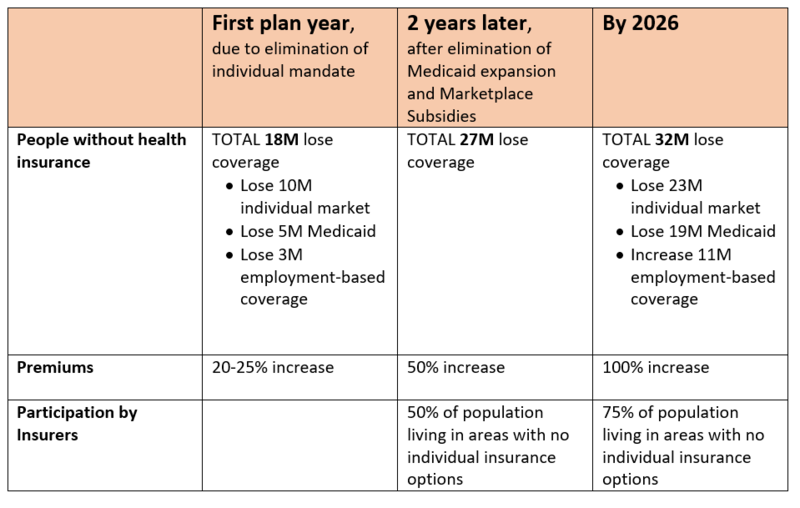 Other than high risk pools, what is being proposed as an alternative to Obamacare? However, the president-elect and some members of Congress have claimed to be against some or all of these alternatives. Except the last one — creating high risk pools. So, I think we’ll be hearing a lot more about that concept over the next few months. Then, as people learn that high risk pools don’t do any magic and that they have a poor track record, I fear that framers of the “replacement” health insurance system will begin to acknowledge that replacement really means returning back to the other mechanisms listed above.